On September 10th, 1939, 15 Reception Depot was established as the official reception depot for volunteers in the Witwatersrand Command area. During World War II, 15 Reception Depot operated from Milner Park Showgrounds and the Wanderers grounds at Park Station, handling the mobilisation requirements and routing of recruits into the Union Defence Force. 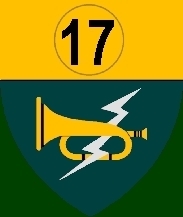 Later the unit was responsible for the routing and demobilisation of the returning troops until it was disbanded after the war on 31 December 1945. 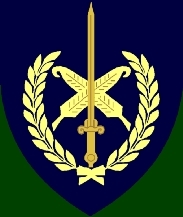 The unit was reactivated on 29 April 1964 owing to the threat of a United Nations action in respect of South West Africa, in case such a situation required the mobilisation of Citizen Force units. When the threat subsided, the unit was retained to process the six monthly national service intake of recruits drawn from its area of responsibility, the most densely populated area of South Africa. 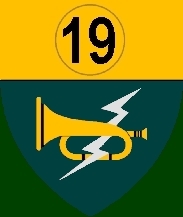 15 Reception Depot was one of a number of Reception Depots around the country which handled the Intake of Recruits into the SADF and then the SANDF, however due to the size of the Witwatersrand region population in relation to the balance of the country, this unit spearheaded the drafting process. 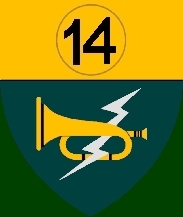 The reception depot units fell under the PS core, and operated in the main under regional command structures, in the case of 15 RCD it was Witwatersrand Command. Reception Depots where usually engaged when mass mustering for military service was required, in the 60�s, 70's, 80's and 90's they coordinated the issue of call up papers, checked the �called up� recruit had indeed arrived, and then played a public relations role at the mustering points around the country - once 'called up' they coordinated the movement of recruits to their various units of call up (usually by train convoy and later buses) and acted as security to see these convoys safely to their destinations. 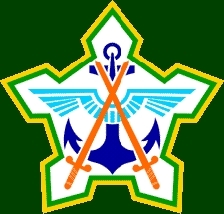 Aside from the 15 RCD�s Public Relations role which cumulated with pretty spectacular SADF shows at the annual call ups at Nasrec in the late 80's early 90's, the unit also acted as media liaison and acted to counter-act media speculation or slander from groups such as the End Conscription Campaign. This continued during the whites only national service call up years, and into then into the rounds of voluntary intakes in the mid 90's and then non racial voluntary drafts into the armed forces (based on applications to join the SANDF) in the late 90's. 15 RCD became involved in the mustering of the country's reservists to for the country's first free election campaign in 1994, this was to boost experienced troop levels to maintain national security over this rather tumultuous period in South Africa�s history. 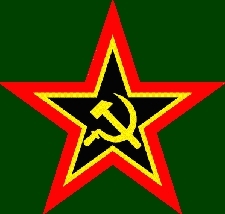 The unit also played a role in the intake or drafting of all the former Umkhonto we Sizwe and The Azanian People's Liberation Army (APLA) members into the SADF in the mid 90's. 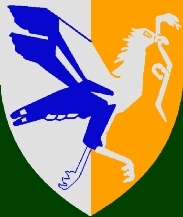 Other roles taken up included a Public Relations and media relations role for the SADF and then later the SANDF and providing support personnel such as Operations Officers and Intel Officers within the Command and later to Group 18. 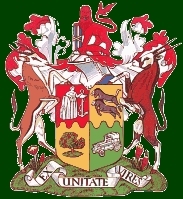 In addition to its defence mission, by 2000 onwards 15 Reception Depot provided a personnel function, partook in disaster relief, peace promotion, support of civilian authorities in difficult situations and managed the Voluntary Military Service (VMS) System for the renamed �Gauteng Command�. � The helmet represents the military man in his most basic form. � The pile reversed alludes to the unit "collecting" a mass of men and processing that to a point where they are basic soldiers. 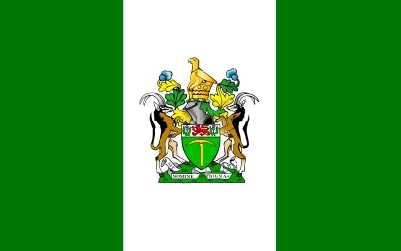 The colours are those of the Personnel Service Corps with additions to allow for heraldic acceptability. Tenn�, a pile reversed Argent charged with a Greek helmet (circa 250 BC) the helmet Brunatte the plume Gules. On an ogress resting on a riband Argent bearing the motto "PEREPI" in letters Sable a Greek helmet (circa 250BC) also Argent. 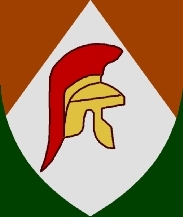 A rectangular orange flag, proportioned 3:2, charged in the centre with a white pile inverted charged with a Greek helmet (circa 250BC) with helmet brown the plume red. 16 RCD function was dealing with call-ups based in Potchefstroom and serviced 3 SAI & 4th Field Artillery with their intakes.